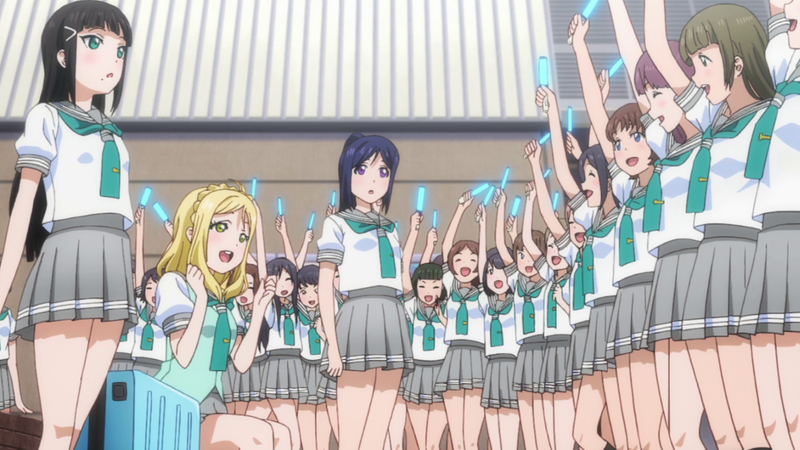 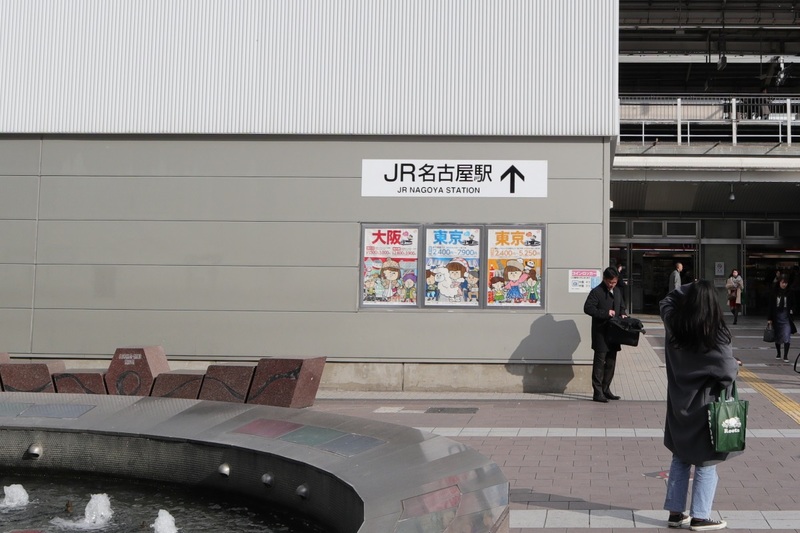 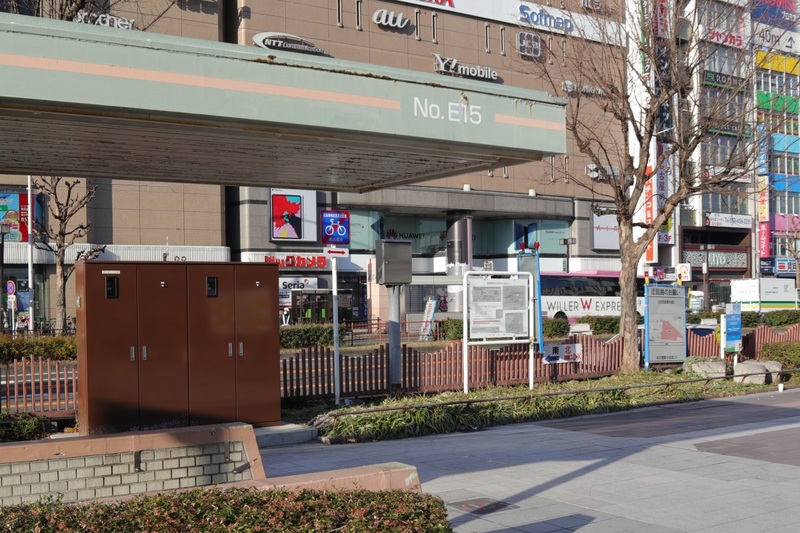 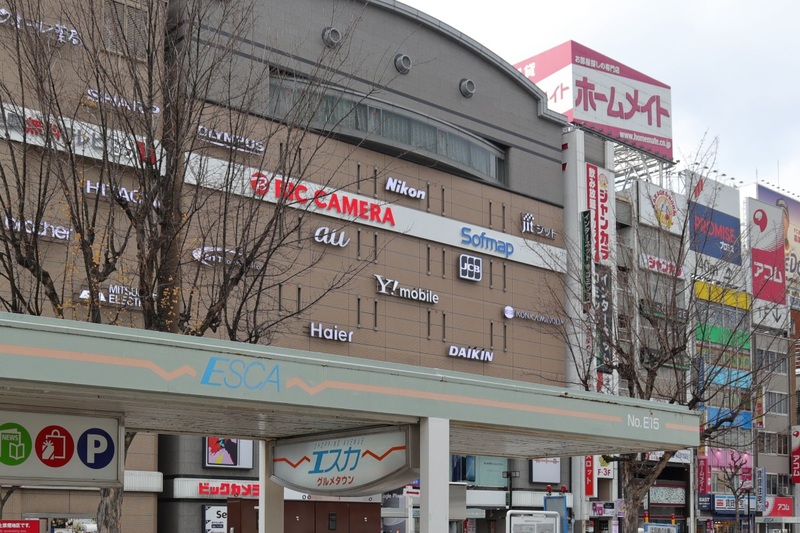 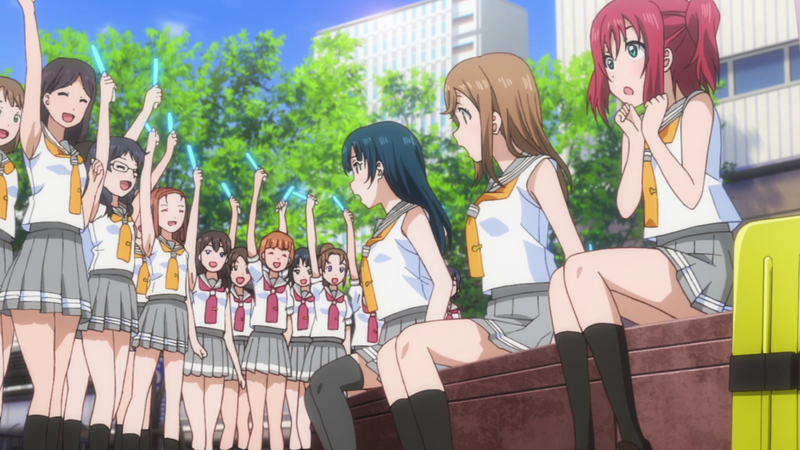 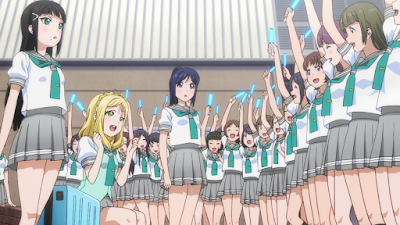 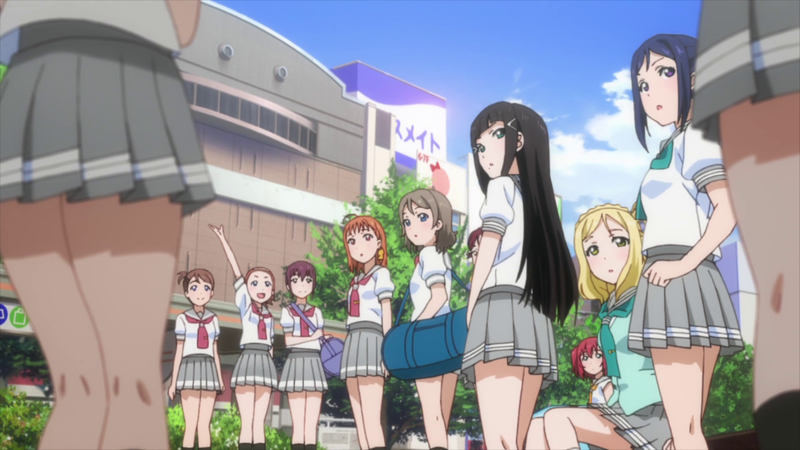 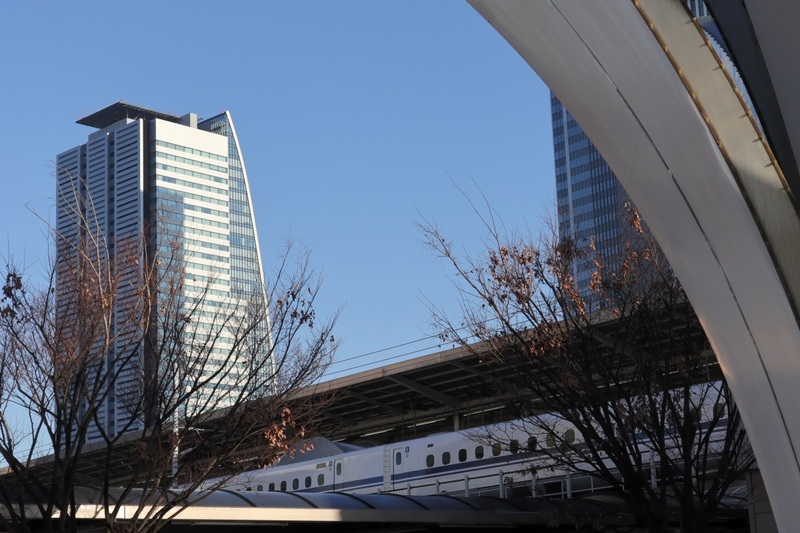 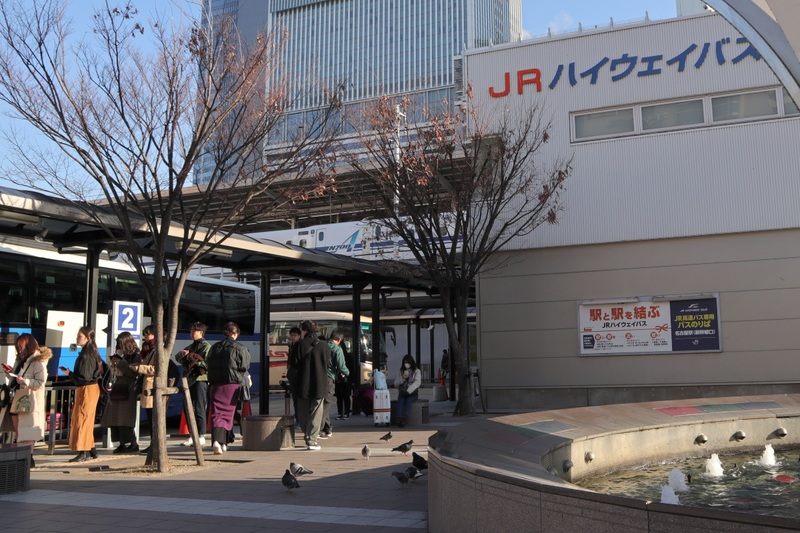 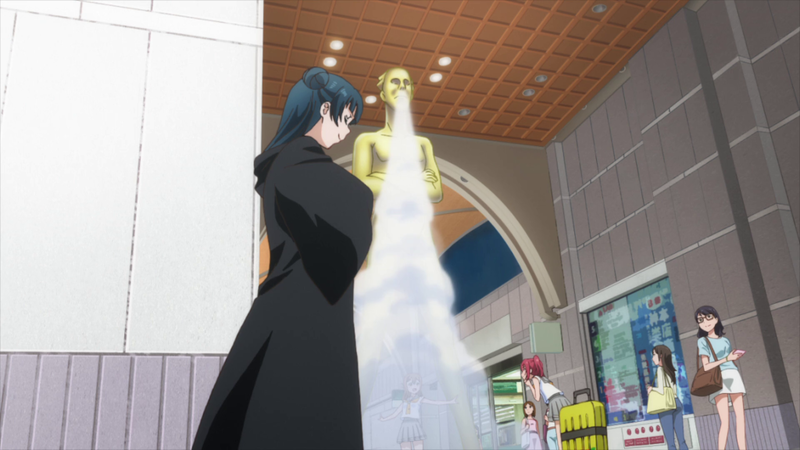 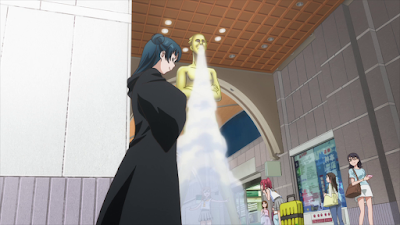 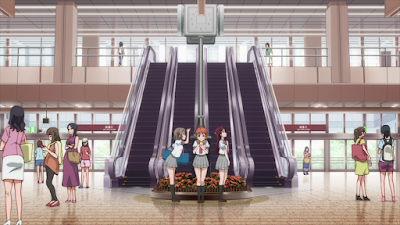 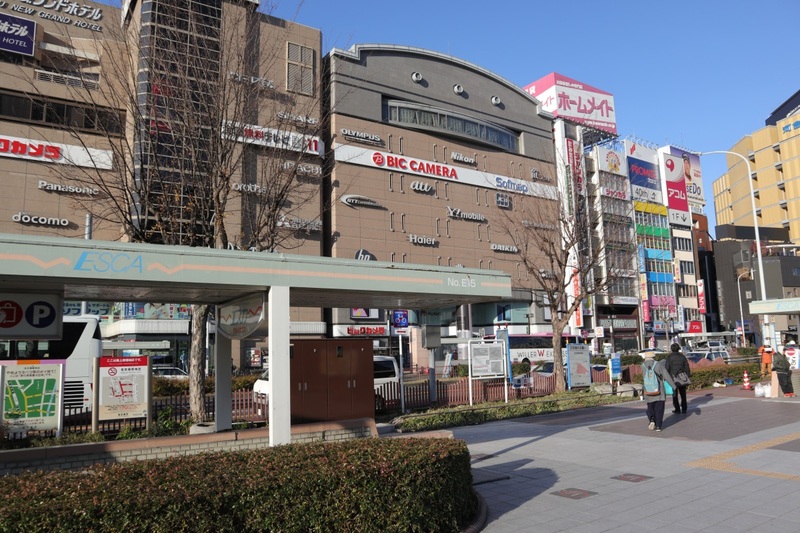 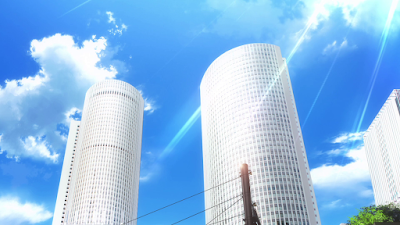 In episode 13 of the first season of Love Live Sunshine a bunch of locations around Nagoya Station is also shown. This tilting shot is outside the station to the east. 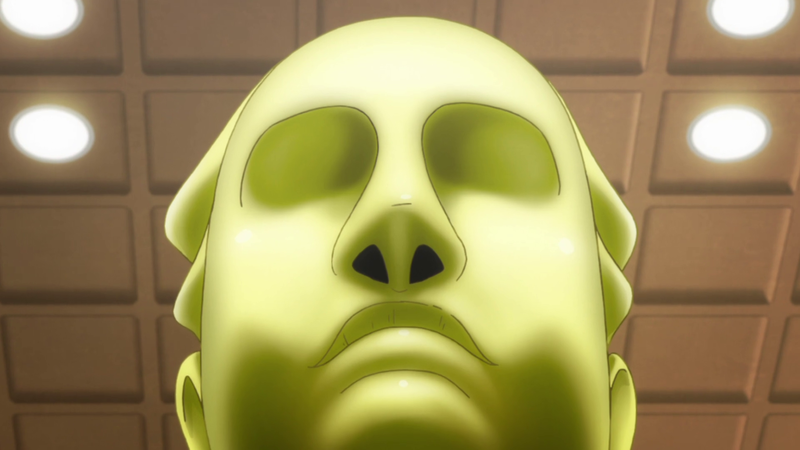 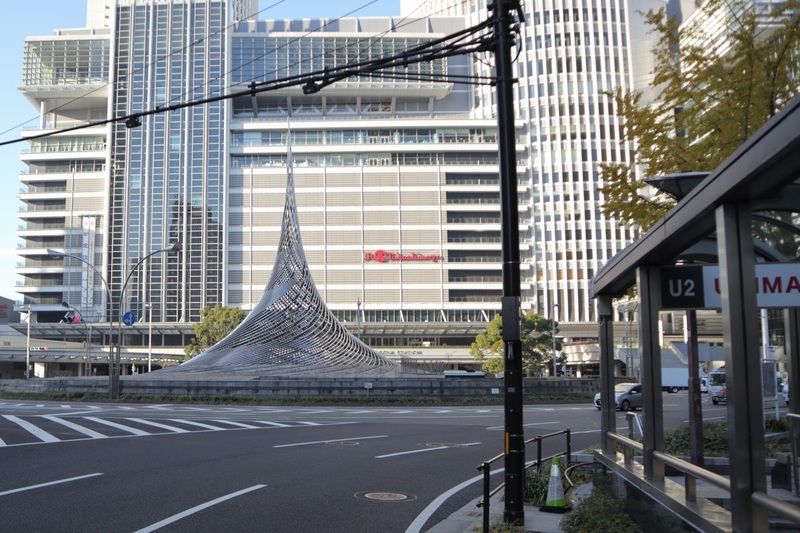 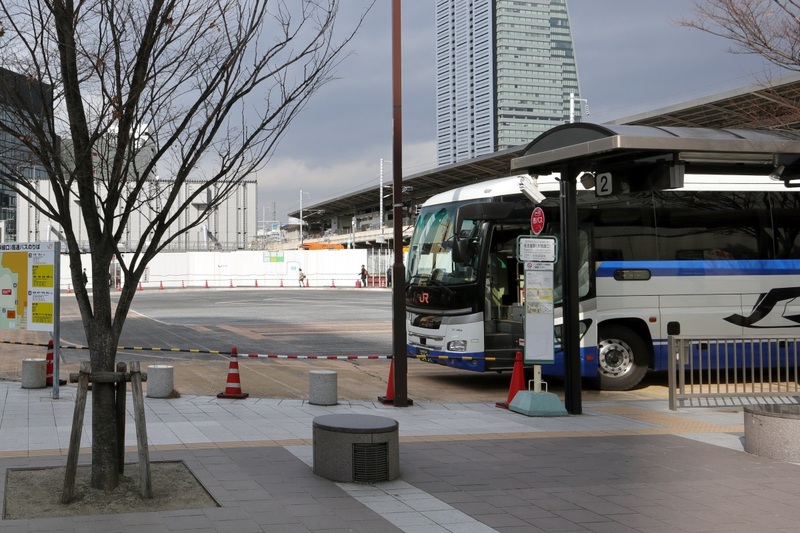 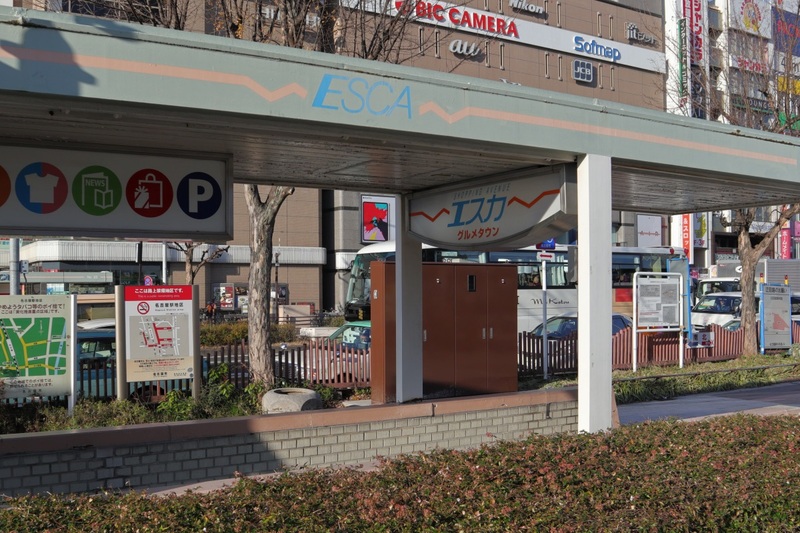 The thing in front of the station here that looks different in the anime is called Monument Hisho in real life. 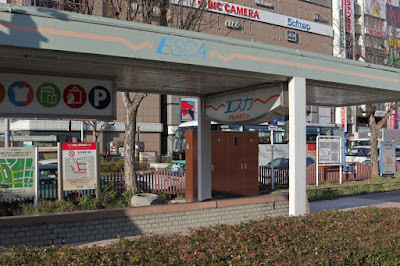 I've marked the location where I took this picture in the map below. 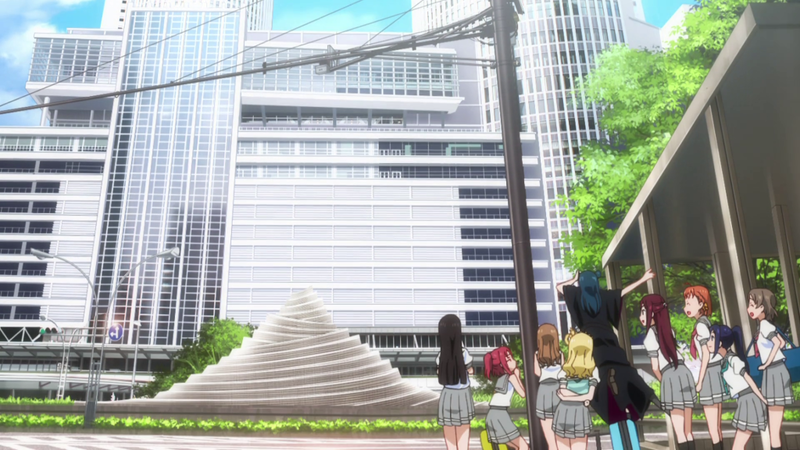 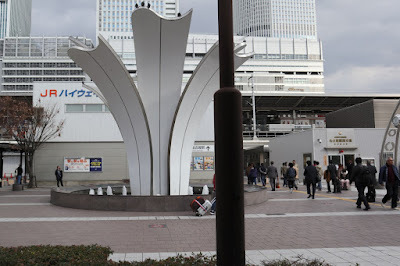 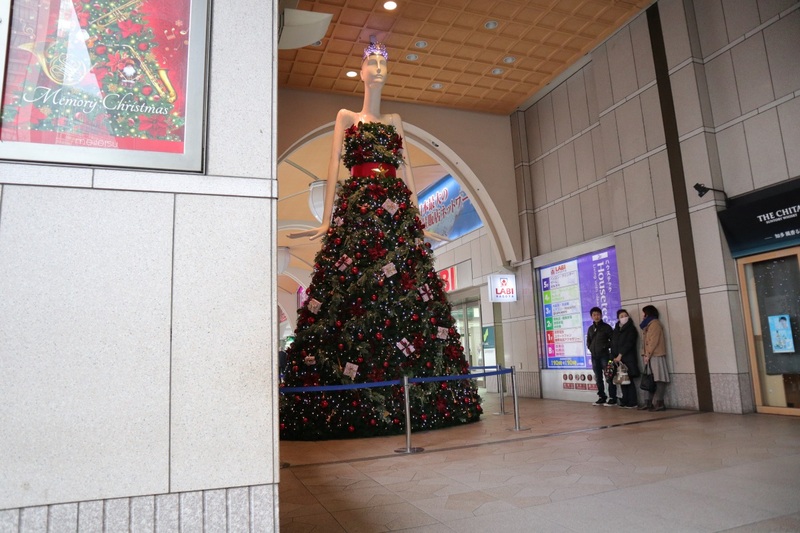 This is the Nana-chan statue outside Kintetsu Nagoya Station that was also shown in Locodol. 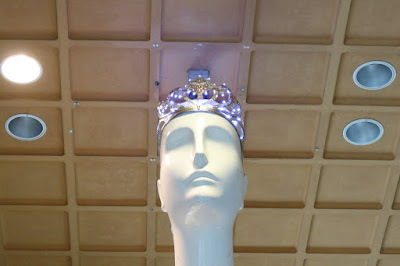 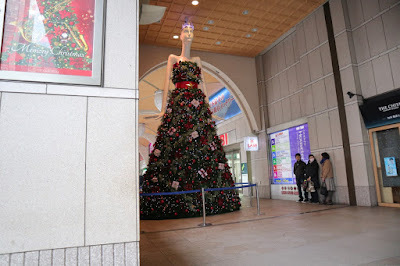 The statue was dressed up in Christmas gear when I visited. 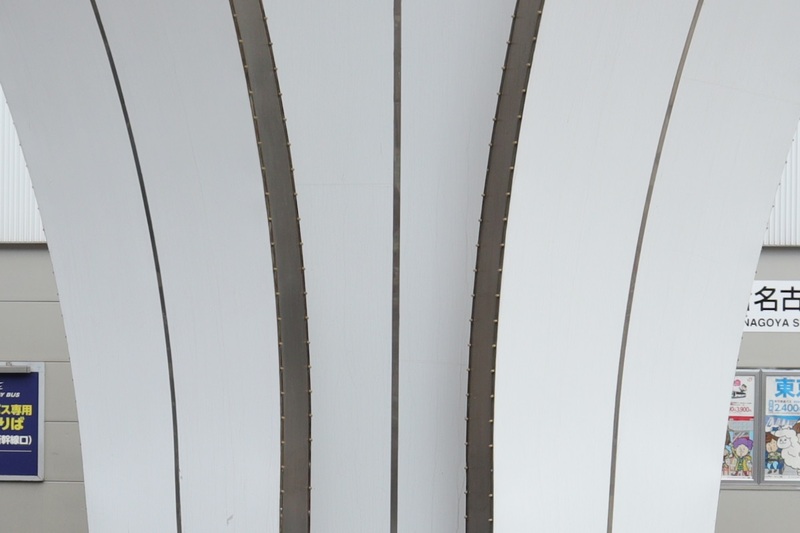 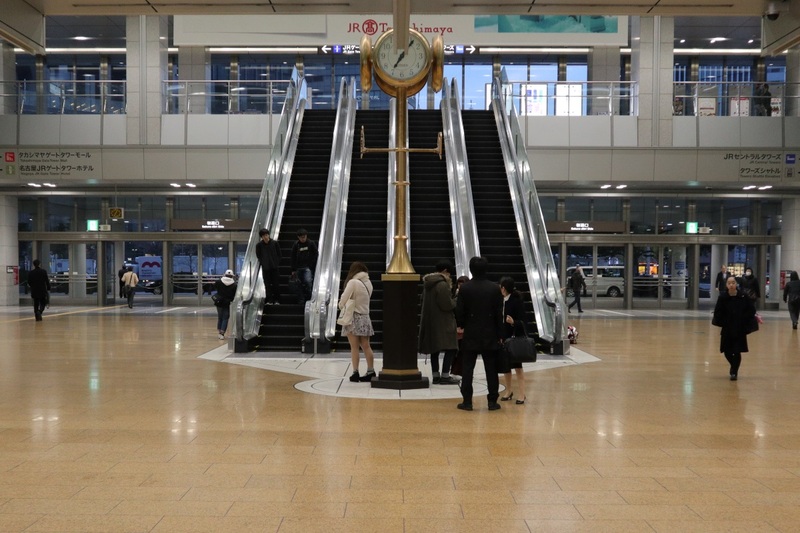 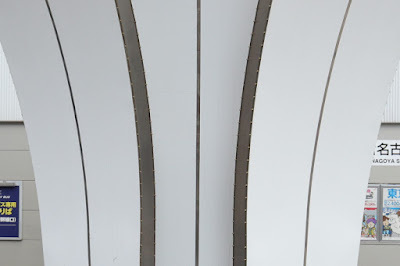 This is inside the station building near the east exit which is also known as the Sakura-dori Exit. Closeup. 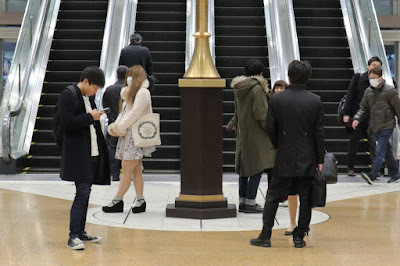 This is a popular meeting spot so there were people here all the time. This is outside the west side of the station. 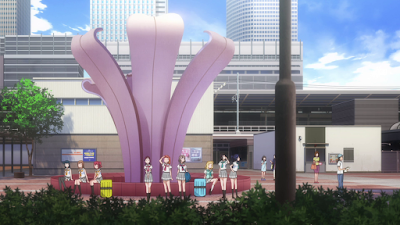 The fountain here is called Lily Fountain. 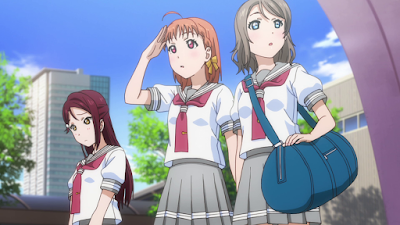 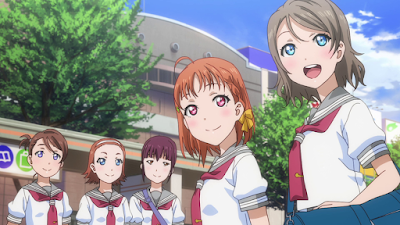 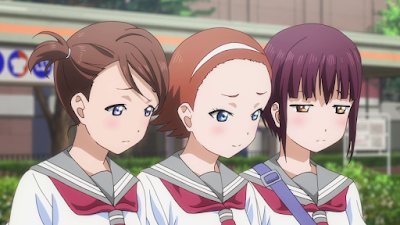 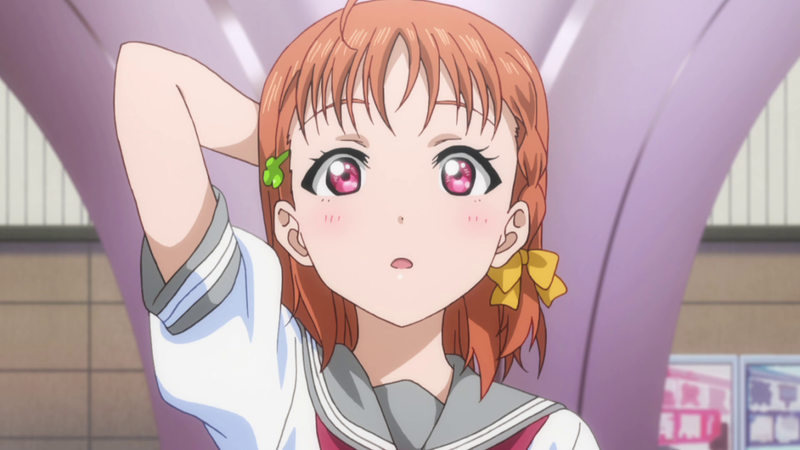 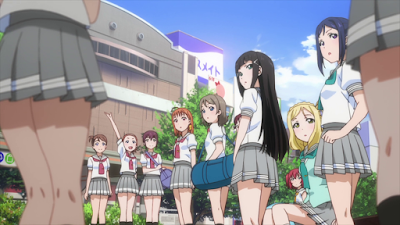 Chika and You looks for their classmates. 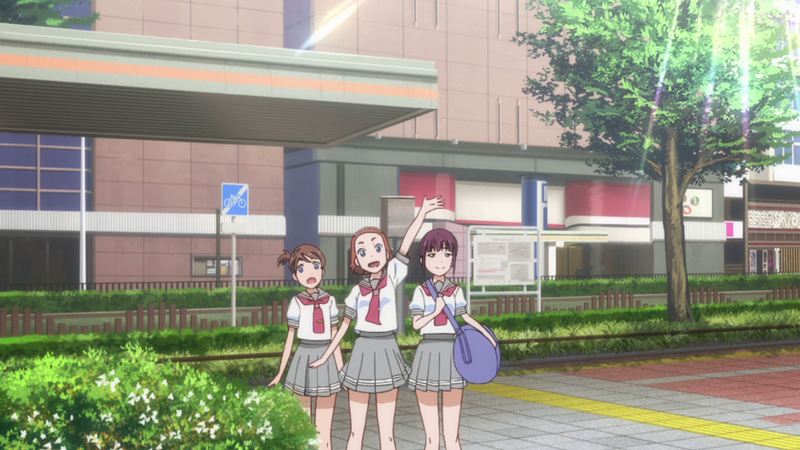 Mutsu and the others show up. 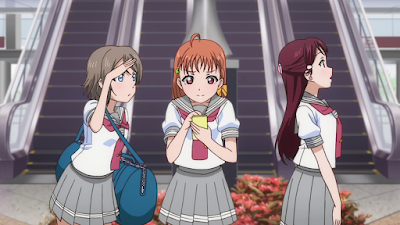 Only the 3 of them has shown up. They reveal that everybody else are also joining. 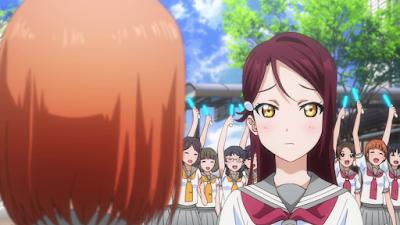 Except Riko which still seems worried. 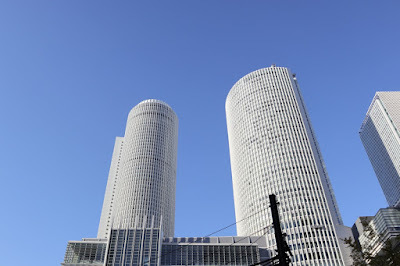 This location was visited on 2018/12/19 and 2018/12/20.